Whether you have family and friends living abroad, or businesses overseas you’re in touch with, you will be looking for a cheap international calls solution. 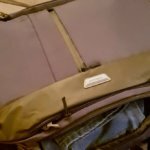 The Localphone service does a lot of things right – and a few things wrong. In this review, I’ll go over the important points. As someone who moved to London from a different country, I had to leave a lot of friends and family members behind. And while it’s true Internet-Based (VOIP) calling with apps like Skype and Whatsapp is easier and cheaper than ever (mostly free), sometimes you still need to use the “traditional” phone network to call internationally. You might need to call older family members who don’t really know how to use Skype, you might need to contact stores in other countries, or official institutions overseas – either way, you need to be able to call an actual phone number. The easiest solution is just to dial from your regular phone, via your everyday Mobile or Landline company. However, doing that will, in most cases, incur very high costs, as most of the traditional telecommunication companies charge an arm and a leg for international calls. So, to combat the high prices, several companies are offering old-school phone dialling, from your regular phone to a “real” number overseas – for cheap prices. Localphone is one such company, offering several ways to call internationally from the UK, for cheap. Additionally, you can use their services to call the UK for cheap while you’re travelling abroad, and they also offer an “International Incoming Number” – you pick a country, pay a fee, and get a local number in that country – that routes the calls to your UK number. 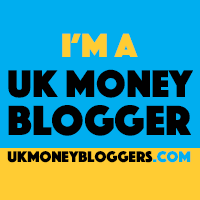 I’ve been using Localphone ever since I moved to London – so in this review, I’ll point you to some of their pluses – as well as some of their minuses. 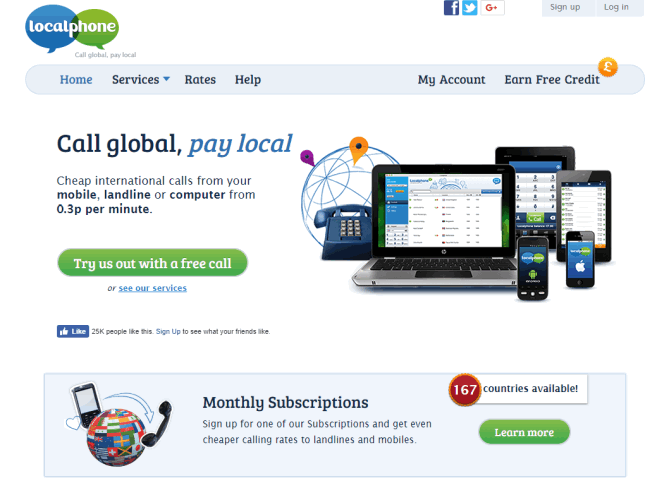 Bottom Line: Is Localphone The Best For International Calls? Virtual Calling Card – You dial a local number (whichever country you’re in), and then call internationally using your pin. Internet Phone – Call via the app or your PC, using broadband. On Localphone’s end, they then transfer the call to the “real” landline/mobile number you wish to call. Callback – If you don’t want to use your regular phoneline minutes, Localphone can automatically call you back, and then connect you to your desired international number. Incoming Number – If you have people who need to call YOU regularly in a different country, you can pay for a local number in that country. People call that number, and it redirects the call to wherever you are in the world. Additionally, Localphone offer a “Global SMS” service, where you can send cheap international text messages via their website. After the registration, you start by adding credit (in $) to your balance. You can then use that credit for all the various services Localphone offers. The easiest way (and the one I use most often) to call people you’re always in touch with is with the Local Numbers service. You tell Localphone where in the world you are, and then start adding people/places you call regularly. If you ever travel abroad, while on holiday for example, you simple change the country you’re in right now on the Localphone website, and you get new direct numbers – with a local number in the country you’re at. (And when you get back to the UK – you simple change it back and the old numbers are back as well). 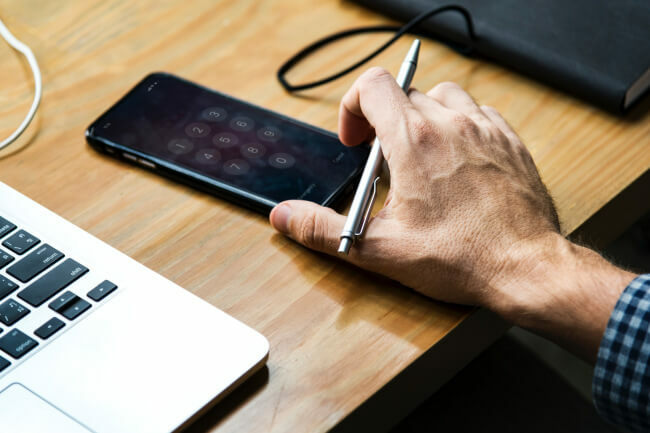 For people you don’t call regularly, you would simply use the Virtual Calling Card – you call a local number in the UK (or any other country), key in your secret pin, and then dial the international number you wish to connect to. Theoretically, you could also do all this (plus do Internet Calling) via Localphone’s app – but I’m sad to say their app is, for the time being at least, pretty horrendous. (As many negative App Store reviews will attest to as well) – so frankly, I don’t even bother with it. I make all the changes and settings on the website, and then just use regular calling on my phone. Another nifty Localphone service I use is Incoming Number – since I still have a lot of people calling me from my original home country, I don’t want them to have to call internationally to the UK every time. (Plus, good luck telling insitutions to call you internationally…). So, for a monthly subscription (I pay $5, but it depends on the country), you get a permenant local number in the country of your choosing. You then set, via the website, where you want that number to be redirected to. So whenever someone calls the local number, the call gets redirected to my UK mobile. I do have to pay for the international call though – so keep that in mind. 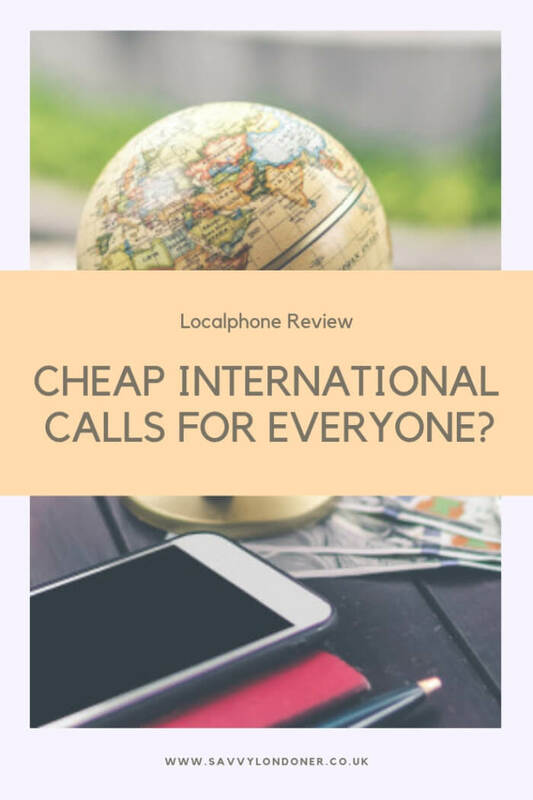 Localphone has always been one of the cheapest international calling companies – though, in recent years, some other companies offer even cheaper rates. The rates depend on the country you’re calling – you can see the full list of call rates here. So for example, if you want to call landlines or mobiles in the US, you would currently pay 0.5¢/minute. Australia would set you down 1.5¢/minute for landlines in the main cities, and 7.5¢/m elsewhere or for mobiles. Poland? 1¢/minute for landlines, and 7¢/m to mobiles. If you call a lot, you can also buy a monthly subscription to your chosen country – which is basically a bank of minutes at a cheaper rate. So, for example, 800 US minutes would cost you $1.6/month, which comes down to 0.2¢/minute (instead of the regular 0.5¢). Keep in mind though, those minutes don’t roll over month to month. While the big UK mobile companies usually charge awful prices for international calling, let’s look at a cheaper alternative like giffgaff (which is a relatively cheap UK mobile company, owned by O2). You can find giffgaff’s international rates page here, but generally speaker they’re very competitive when compared to Localphone’s prices. Remember two things though – you need to be a giffgaff subscriber (which is a whole nother comparison), and you don’t get the other Localphone services such as an incoming number, or calling WHILE you’re abroad. 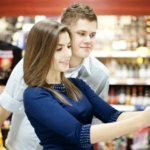 Localphone also offer a “Refer a Friend” scheme – you can get calling creding by recommending the service to friends and family who become paying members. Unfortunately, Localphone’s call quality really depends on the country you’re calling. I’ve had international calls that were crystal clear, and calls where the other side could hardly hear me. That being said, overall the call quality is usually very good. There are rare occurrences when a call doesn’t connect, and don’t even get me started on using their app for internet calling – at that point, you’re better off using something like Skype or Facebook messenger. But for “regular”, phone-to-phone calls, quality has mostly been good for me. Ease of use is a bit of a mixed bag – Localphone’s website seems to be stuck in the early 2000’s, and the app is bad. However, once you set up your local numbers and everything is good to go, operation is pretty smooth and is done mostly by either calling directly, or calling the “Virtual Calling Card” number. The Incoming Number service works like a charm as well – I’ve had many people call me and have no idea that I’m talking to them from a different country. 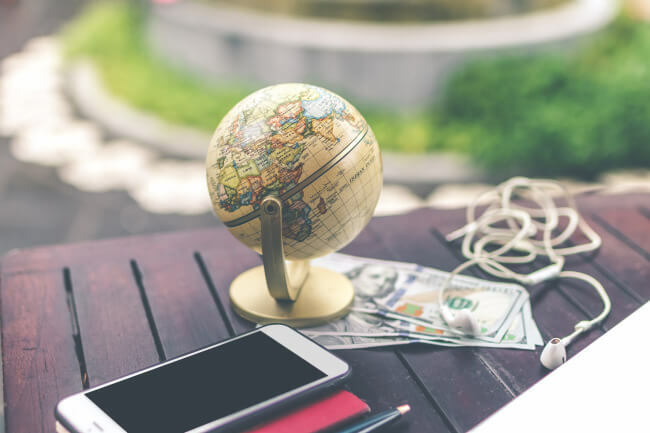 While it’s no longer the cheapest international calling service out there (though it’s still pretty cheap), the added services make it worthwhile in my view – especially if you call internationally a lot. For an odd call twice a year, it’s probably a bit of an overkill. I like the fact that it also doubles as an international calling service while you’re abroad – so when you go on holiday, you don’t have to start shopping around for a local sim or calling card. If only they would improve their app, and lower their prices a bit to better compete with other offers – I would gladly change my rating for them.